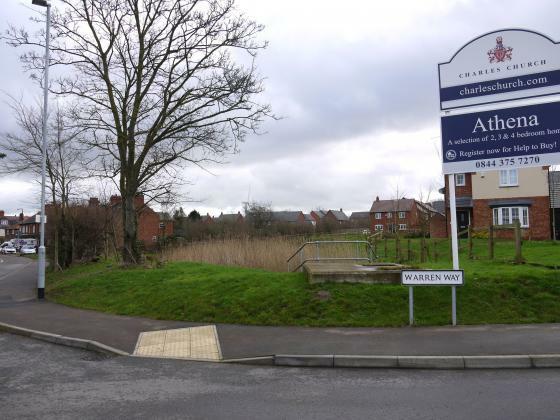 This is the next development by Charles Church with access from Hallfields Lane and leading to the new school and yet another 'Grot Spot' making our village look unkempt and uncared for. 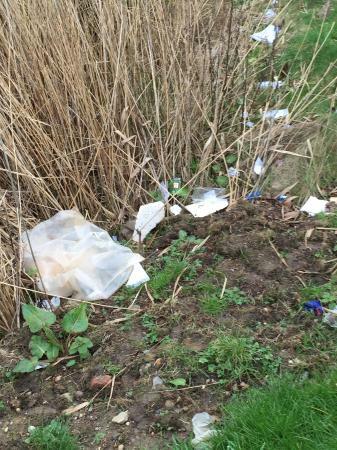 The area around the two holding ponds is a disgrace with litter everywhere. 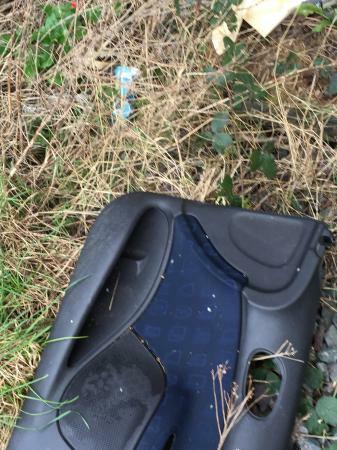 On Friday 5th February Marion and Anita went on a litter pick and were totally disgusted with what they found. 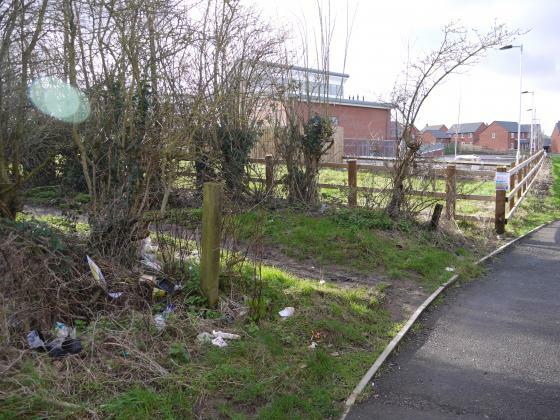 Starting at the new car park fronting Hallfields Lane, including the pavement side of the hedgerow, was one big load of cans and bottles, sweet wrappers and bags, and who decided to throw their car parcel shelf over the fence into the adjoining field? 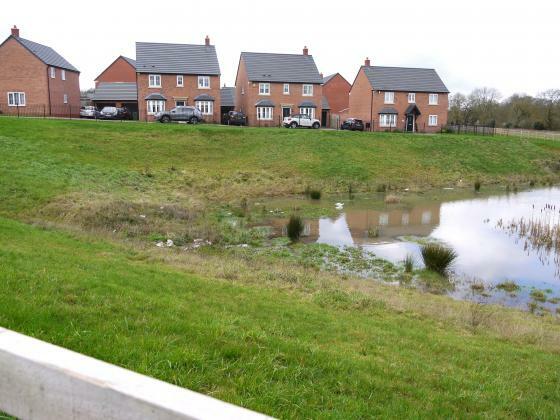 The bags and litter around and in the large holding pond is very detrimental to wildlife and causes death to water birds either in their systems or wrapped around their bills so they cannot feed. 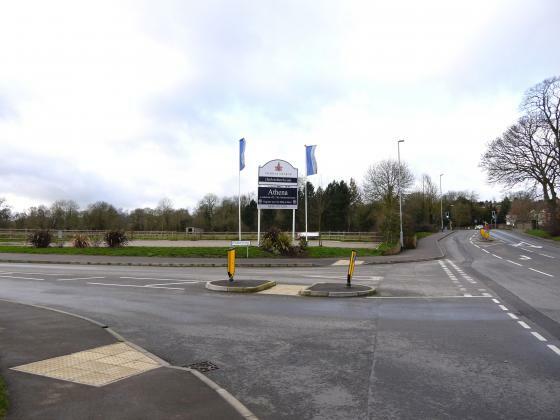 The smaller holding pond to the left of Warren Way was disgusting and the landscaped area around it alive with torn medical papers and plastic bags. 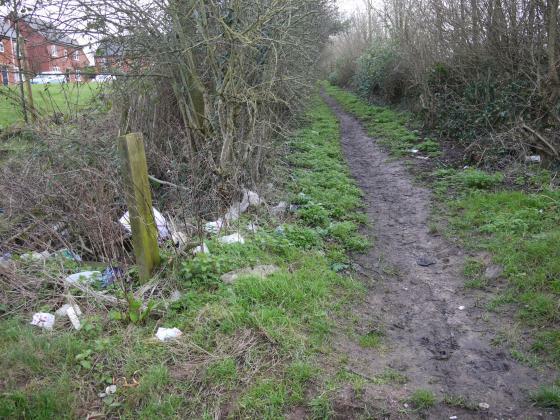 Where the Public Footpath from Hallfields Lane to Blue Gate Lane crosses between the houses on 'Avalon' and 'Athena' the litter is everywhere. 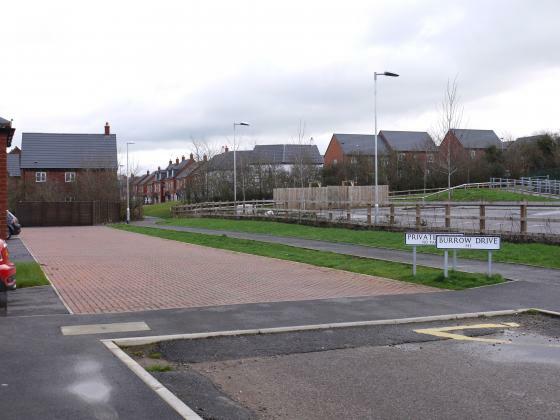 DOES NO-ONE CARE ABOUT ROTHLEY AND ITS IMAGE TO LONG TERM RESIDENTS AND VISITORS?